Starting January 5, 2018, prepaid load consumers will enjoy a one-year expiration regardless of the amount. 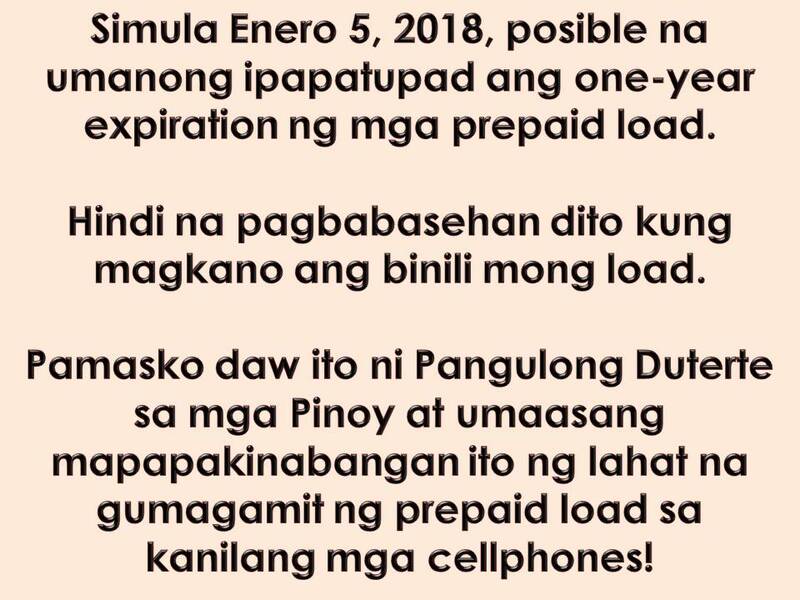 The prolong lifespan of prepaid loads for cell phones are the product of joint memorandum being signed by the Department of Trade and Industry (DTI), the Department of Information and Communications Technology (DICT) and the National Telecommunications Commission (NTC). The government agencies amended NTC's Memorandum Circular No. 03-07-2009, or the Guidelines on Prepaid Loads, which state that validity of prepaid loads shall correspond to the amount of load purchased. According to Trade Secretary Ramon Lopez through this good news is Presidents Rodrigo Duterte's gift to the public this Christmas hoping that everyone can benefit from in the coming years. Statistics show that there is 130 million cellphone subscription in the Philippines as of December 2016. Aside from this, it is found out that 90% of cellphone users in the Philippines are in prepaid. 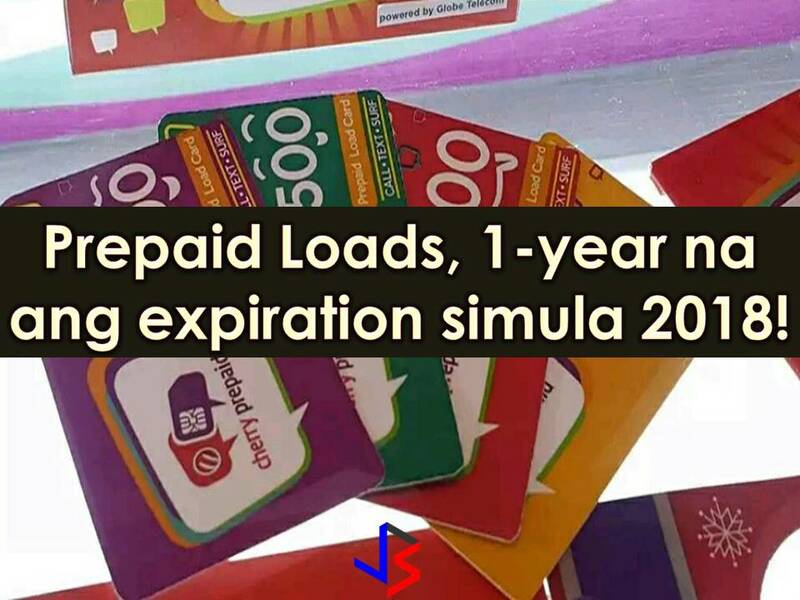 These numbers will benefit the extended expiry date of prepaid load to one year. Lopez added that this is also aimed to help small and medium-sized businesses and to protect consumers. Currently, a P10 pesos load or lower can be used only up to three days while prepaid credits more than P300 may last up to four mounts.